Limited pressing / white label featuring two unreleased tracks. 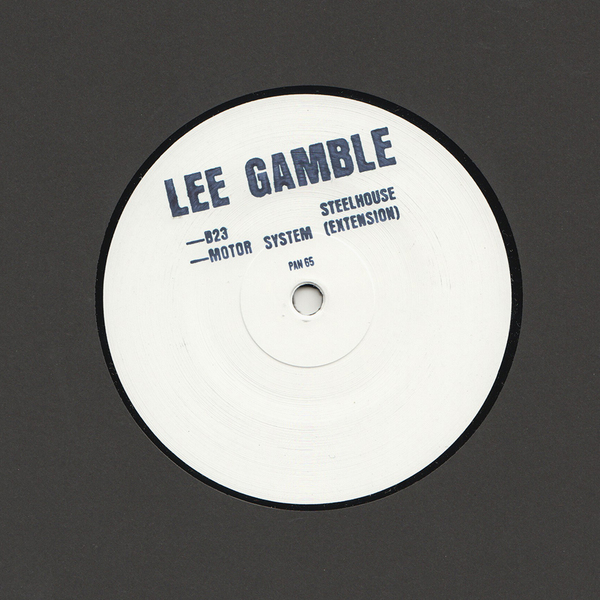 ‘B23 Steelhouse’ is a rework of ‘Steelhouse Chaconne’, itself an unreleased Lee Gamble dub from 2013. On the flip is ‘Motor System’, a track taken from last year’s Koch album and extended. Both tracks have been remastered and sound much louder and dynamic than the album cuts – primed for the DJs.